Johan Cruyff made his professional debut in Holland in 1964. He went on to play for club teams across the world including in Spain and the U.S., winning a long list of titles including the Ballon d'Or in 1971, 1973 and 1974. Cruyff was also an iconic part of the Dutch national squad and was the most famous exponent of Total Football, a playing style credited with laying the foundation for modern soccer. Cruyff’s incredible technique shocked the football world and is still celebrated today, with the trademark ‘Cruyff Turn’ a popular move in the PES series. Fans will now be able to recreate that technique in PRO EVOLUTION SOCCER 2018. Starting today, Johan Cruyff will also appear as the icon and the key visual for the mobile game PES CLUB MANAGER which will be marked by a special event. 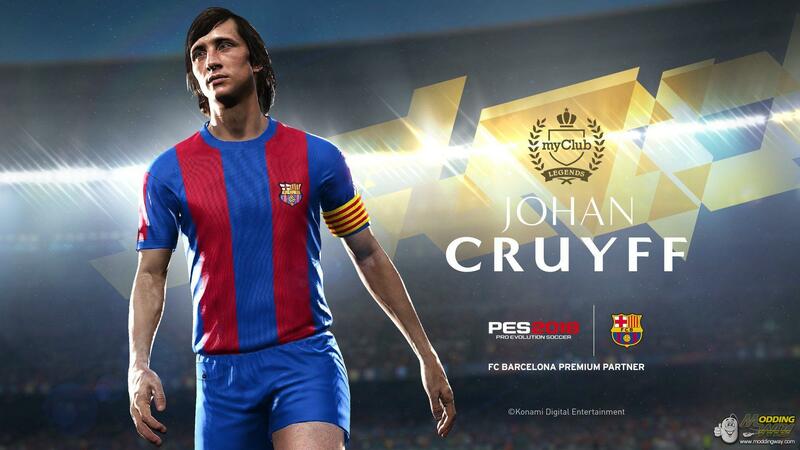 Players can look forward to playing like Cruyff as he appears in the console and mobile versions of PRO EVOLUTION SOCCER 2018 soon. Get ready to enjoy the dream showdown between today’s superstars and an all-time legend.